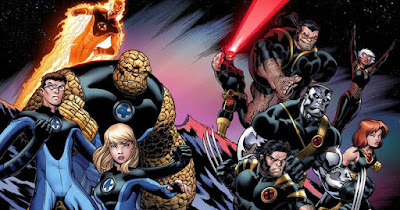 Welcome home X-Men, Fantastic Four, Deadpool, Dr. Doom, Silver Surfer, Galactus, and many other Marvel comics properties previously licensed to Fox! Fox has officially announced their deal with Disney is complete and will go in effect at 12:02 a.m. ET on March 20, 2019. Now, Marvel Studios head Kevin Feige can really start bringing these Marvel characters into the fold as the Marvel Cinematic Universe will be expanded even more after the events of AVENGERS: ENDGAME.